The Book of Revelation is arguably the most mysterious book of the New Testament and therefore an almost thrilling read, even for non-Christians. The powerful, ultra-symbol-laden language, the extremely vile pictures evoked and of course the story of the Last Judgement, the war between heaven and hell and the end of the world made sure the Apocalypse did fundamentally coin Christian religion and due to this found its way into our mundane culture, too – countless computer games, movies, books, paintings, and of course records of all genres draw on the unsettling, cryptic content. Even if you never ever held a Bible in your hand you’ve heard of the number of the beast, the Whore of Babylon or the seven plagues. A solid collection of Metal records shall assure that. Given the impact and importance of the Book of Revelation within the biblical context and beyond, it’s no surprise that also theologians, religious scholars, and other scientists keep doing research on that text, looking for its true meaning and giving explanations about its incurrence. One of the most prominent persons in that field is Elaine Pagels, Harrington Spear Paine Professor of Religion at Princeton University, USA. In her newest book, Revelations: Visions, Prophecy, and Politics in the Book of Revelation, Pagels examines the Book of Revelation regarding its historical origin, its author John of Patmos, and his intentions of writing it down in the first century AD (the present book I’ve read is actually the German translation, whose title is Apokalypse: Das letzte Buch der Bibel wird entschlüsselt, which isn’t a precise translation of the original and therefore a bit confusing as I’ll explain later on). As one might expect from Pagels, she proofs extremely profound knowledge not only about the history of Christianity and the Bible but also the political history of the Roman Empire, Jewish traditions and of course the Nag Hammadi manuscripts, which she studied already very early in her career. Pagels portrays the circumstances in which John of Patmos lived and wrote the Book of Revelations and how it eventually became part of the New Testament hundreds of years later. Furthermore one gets to know how different important persons of early Christendom and Rome made use of the Book of Revelation and interpreted it to fit their political intents. Sure enough Pagels also details and reasons her interpretation of the Apocalypse, respectively the intents John of Patmos might have had to write such a strongly encoded text. As an important aspect of this, Pagels also deciphers the most important symbols and metaphors used in the Book of Revelation and explains what these are actually supposed to mean. One of the many interesting issues she brings up is the usage of certain elements that are also present in other prophetic writings, for example in those of Isaiah, Ezekiel or Daniel of the Old Testament. Of course, due to the immense number of allegories used by John of Patmos, a complete decryption and explanation of the meaning of every number, animal, and colour used is impossible. Still a deeper analysis of those would have been great. Pagels spends a lot of time telling about the rivalry between different Christian sects, between the Christians and the Romans, between the Christians and the Jews. And although these aspects play an important role in the history of the Book of Revelation (and therefore are present in Pagels book with good reason), they tend to get a bit tiring after a while. A more compact narration would have done no harm to the profundity of the content. Personally I’d also have preferred a few more pages about the symbolism present in the text, maybe an outline about the most important, different interpretations that occurred in history. But of course, that never was Pagels’ intention. I might have had wrong expectations because the German title says “the last book of the Bible decoded” – which is a bit misleading here. The English title is a lot clearer. 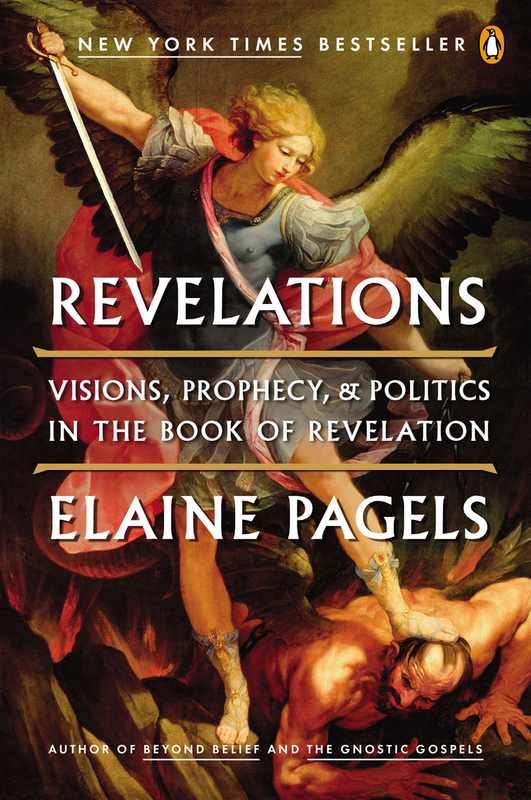 Anyway, if you like to know what role the Book of Revelation played in early Christianity and about the social and political circumstances that led to its creation, Pagels’ book gives a really proficient, comprehensible and exciting overview. And the annexed, detailed bibliography allows you to dig deeper into the subject matter.